Think for a moment – how many times have you caught yourself sitting on your couch with a bag of chips, only to look down and realize you ate the entire bag? If you’ve done this, you’re guilty of mindless eating. Our species used to be active, hunting for our survival and eating only as a reward of great effort. But many of us lead sedentary lifestyles, which leaves us with a lot more free time. So, are you ready to learn about what causes your mindless eating and how to put a stop to it? If so, keep reading. You may even discover that your habit can be used to your own advantage. What Leads to Mindless Eating? Mindless eating can be the result of many different factors that vary from person to person. However, one of the most widespread problems we face in the United States is that our eyes truly are bigger than our stomachs. Even if you don’t have huge plates or go out to eat at restaurants all the time, you may still come in contact with huge portions. 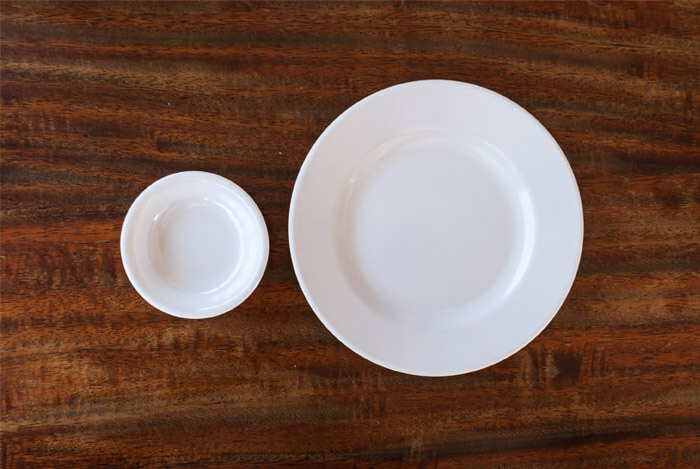 Over the past few decades, our portions have increased dramatically. As a result, so has our calorie intake. In fact, many foods have increased in calorie count as well, sometimes by as much as a hundred calories per item. A lot of this has to do with the market – when we buy foods, we want the biggest bang for our buck. People simply don’t want to pay a lot of money for a small amount of food – even if it’s the same they were paying decades ago, just adjusted for inflation. And when all our portions are that much larger, our mindless eating becomes that much worse. Every meal consumed is that much more calories than we really needed. The first step to controlling your mindless eating is awareness of your habit. Stop eating at set meal times when you don’t have to. Some people feel like they’re required to eat based on a specific structure, even if they aren’t hungry. When your job gives you a lunch break, you may feel obligated to go get a bite to eat from the fast food joint nearby. When your family sits down to eat each evening, you may feel your plate just because everyone else is doing it. When you start to buy food or fill a plate, figure out if you’re really hungry – and how hungry you really are. Don’t eat while distracted by other things. Countless millions of people lounge in front of the television every night and gorge themselves without thinking about it until there’s nothing left to eat. Some people sit in front of their computers or video game consoles shoveling grub in their mouths and hardly even chew their food. When your brain is shutting off and staring at a screen, it has a desire to multitask and accomplish something – so you might prepare that plate of pizza rolls you never needed in the first place. A lot of our portion control depends on what everyone around us is eating. So stop paying attention to what other people get and think about what’s best for you. Don’t eat to control your mood. One major factor in mindless eating is stress or depression. Many people have certain comfort foods they turn to when they feel upset, without realizing that they’re using food as a coping mechanism. A way to combat this is to keep track of what triggers your need for food. By taking note of this behavior, you can begin to combat it. Stop eating out of boredom. Another prime example of mindless eating is the classic habit of bored eating. Maybe you’re sitting in your home and can’t figure out anything to do, so you make a snack. Perhaps you want to hang out with a friend or two but can’t think of anything else to do but go to a restaurant. To put a stop to these behaviors, always ask yourself the question of whether or not you actually are hungry. When you’re in the middle of a meal, stop yourself and take a break – are you still hungry, or could you save the rest for later? This is called mindful eating. 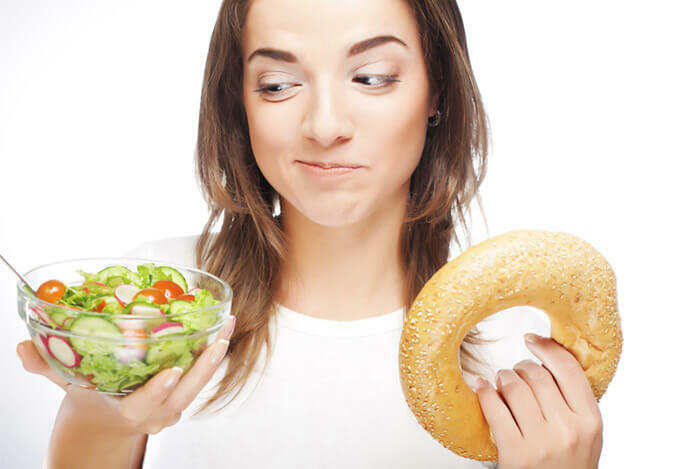 To fight against mindless eating, you need to get rid of everything in your environment that can lead you to eating too much – and unhealthily. First, invest in some smaller plates. Or, if you already have salad plates, put those huge dinner plates in a closet or pantry somewhere only to be used for those big holiday meals. Redesign your kitchen to keep the healthiest foods at eye level in the pantry and refrigerator. If you have candy, hide it – even from yourself. Stop eating in front of your TVs, computers, or other devices. Eat in the kitchen or dining room and focus on your meal. Savor every bite so you appreciate the flavor more and feel fuller as a result. If you want that healthier, sexier body, you can’t allow yourself to keep doing what you’ve been doing. You first have to recognize that a change is necessary and then make it happen. What’s your take on mindless eating? Have anything else you’d like to share? Let me know in the comments below!